“It is often said that time is a great healer. But unfortunately, in case of demonetisation, the scars and wounds, are only getting more visible with time,” Singh said, attributing some of the problems the Indian economy faced with respect to the decision to scrap old Rs 500 and Rs 1,000 notes. 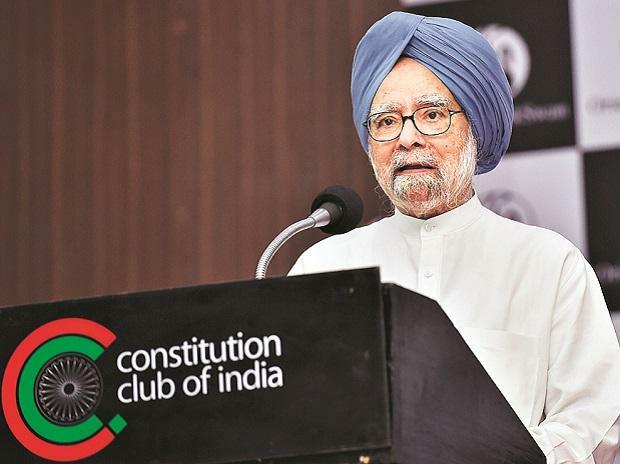 “I urge the government to restore certainty and visibility in economic policies,” the former prime minister said, possibly alluding to recent developments, particularly the Modi government’s relations with the Reserve Bank of India. Singh was the governor of the central bank between 1982 and 1985. “Today is a day to remember how economic misadventures can roil the nation for a long time and understand economic policymaking should be handled with thought and care,” Singh said. Singh termed demonetisation an “economic misadventure”. He said “notebandi” unleashed “havoc” on the Indian economy and society. He said beyond the steep drop in headline GDP (gross domestic product) growth numbers “the deeper ramifications of ‘notebandi’ are still unravelling”. The former PM said small and medium businesses are yet to recover from the “demonetisation shock”, with the result the economy is struggling to create new jobs for the country’s youth. “The financial markets are volatile as the liquidity crisis wrought by demonetisation is taking its eventual toll on infrastructure lending and non-bank financial services firms,” Singh said. Singh said the country was “yet to understand and experience the full impact of the demonetisation exercise”. “With a depreciating currency and rising global oil prices, macro-economic headwinds are also starting to blow now,” the former PM said. On November 24, 2016, speaking in the Rajya Sabha a little over two weeks after Prime Minister Narendra Modi announced demonetisation, Singh had described it as “organised loot and legalised plunder of the common people”. In his Thursday’s statement, Singh said demonetisation was an “ill-fated” and “ill-thought” exercise. “Notebandi impacted every single person, regardless of age, gender, religion, occupation or creed,” Singh said. Congress President Rahul Gandhi said November 8 “will forever go down in the history of India as a day of infamy”. “On the second anniversary of the monumental blunder, the governments spin doctors, including our incompetent finance minister, have the unenviable task of defending an indefensible criminal policy,” Gandhi said. The Congress chief said demonetisation was an ill-conceived and poorly executed economic policy, but disputed that it was “innocent intent”, and alleged it was a carefully planned criminal financial scam. West Bengal Chief Minister Mamata Banerjee, who was the first leading political figure to criticise demonetisation within hours of it being announced, said the reason she did it was because she “knows the pulse of grassroots”. “After the announcement of demonetisation, I asked the grassroots people about their reaction — housewives, daily labourers, the domestic helps and others. They were crying. It was then that I realised that this was a big disaster, and decided to call it out,” Banerjee, whose party’s Trinamool also means grassroots, said. “Who benefited from this decision? Why was this decision taken? To satisfy whom? I have a suspicion that this decision was taken to satisfy the agenda of a few people,” Banerjee said. Congress spokesperson Anand Sharma said demonetisation was “a big money laundering project”, and has caused bank non-performing assets (NPAs) to increase sharply, the banking system is struggling, and now the Modi government was bent on “snatching” the contingency reserves of the Reserve Bank of India. Congress’ chief spokesperson Randeep Surjewala asked why the BJP government did not issue any advertisement or congratulate people on the second anniversary of demonetisation as they had done in the past. The BJP asked 10 questions to the Congress on second anniversary of demonetisation, asking why its finds merit in protesting every “anti-corruption” measure of the Narendra Modi government and accusing it of “living in denial” despite a surge in GDP numbers.